I never know what to expect in the Yoga world. Despite this year marking my 15th year of irregular practice, I’ve distanced myself from the community due to the dastardly dogma with which many Westerners take it on. My respect for the movement wavered as time after time I found myself disillusioned by the sense of escapism and privilege it can harbour. It’s white-skinned followers so lost and unrooted that they dive past the balance between reality and spirituality, appropriating with such ignorance that they unintentionally lay out the carpet for the egocentric self to kick in. 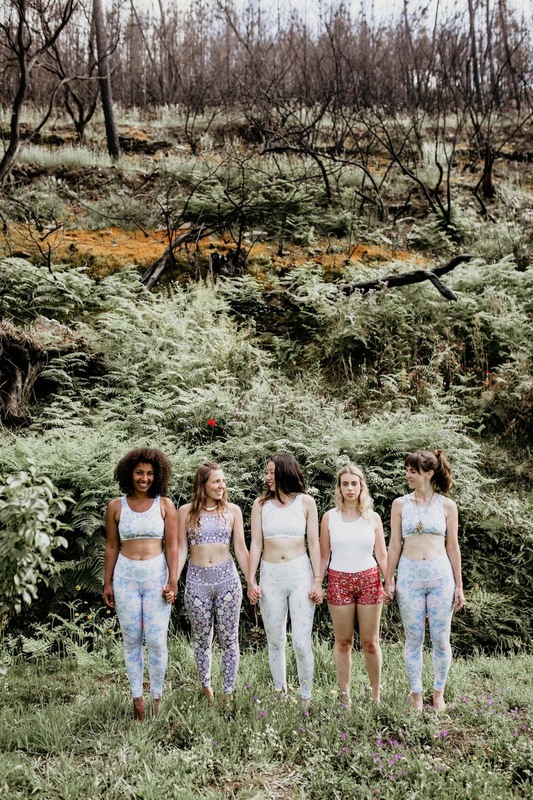 This was not the case at the Nourish in Nurture retreat in central Portugal, run by women who, whether by choice or circumstance, have been catapulted into a sense of strength and identity after 560,000 hectares of forest fires burned across their lands, causing devastation to nearly everything it passed. The smell of ash and eucalyptus still hang in the air in the valley where the retreat took place. 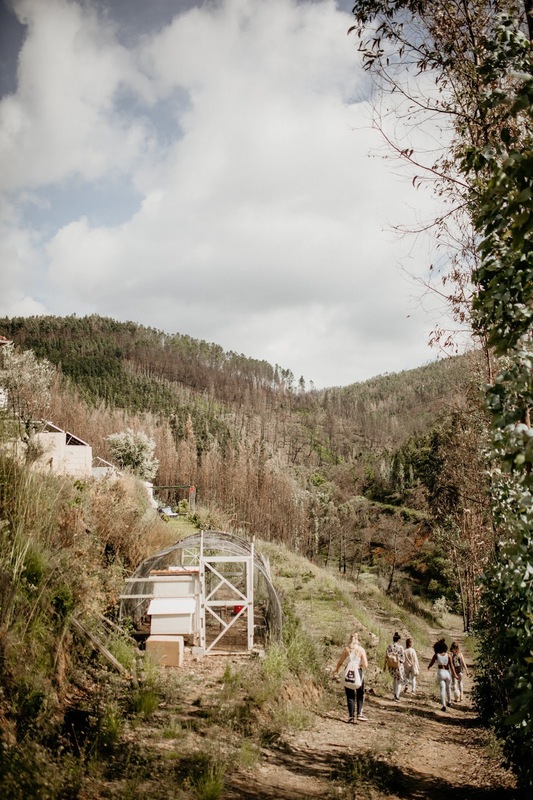 Though the self-sustaining eco resort we stayed at remained unscathed by the fires, its valley, now full of life, is surrounded by an army of blackened Eucalyptus trees, looking down at the layers of abundance below. The sight of them, juxtaposed by teams of cool green leaves bursting from their base like Medusa upended, silently strips your ego of its voice. Serving as a reminder of the forgotten facet of fauna most born in the generations after the industrial revolution are apt to forget: Strength stems from the root of all things, no matter what occurs around you, life is held, drawn, and balanced from within. Humans, especially modern Western born humans, so rarely find themselves as the victims of situations created by our species. So rarely laid bare and forced to find our footing and regenerate. 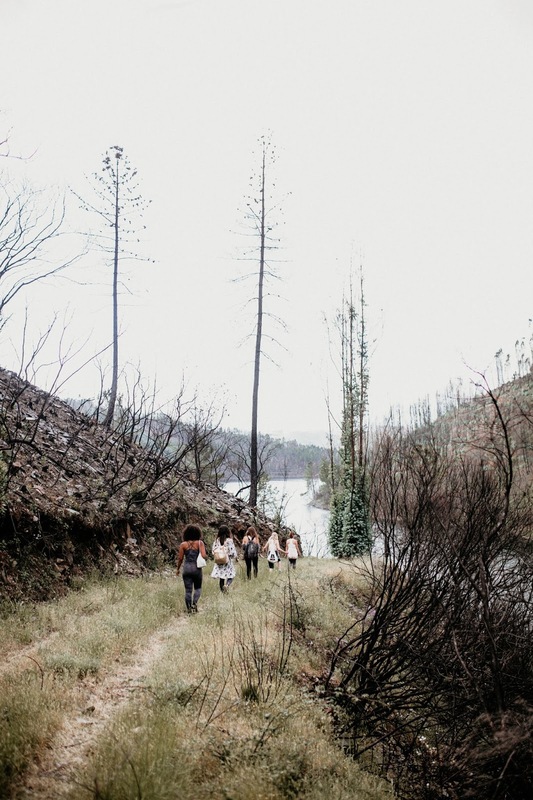 But it is in this instance, stripped down and charred by life, 15 women gathered to reconnect to their roots and find life. 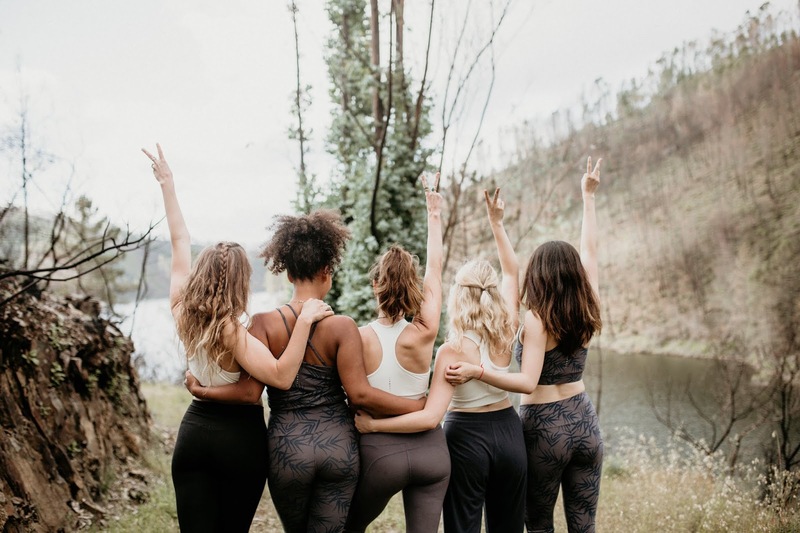 Guided by a team of women who themselves embodied each earthly element, the retreat set sound foundations for discovery, personal growth and transformation. It met each woman where they were with a natural sense of grace and patience to take them – if ready and willing – into a greater state of self, expanding and educating on forgotten facets of our femininity. 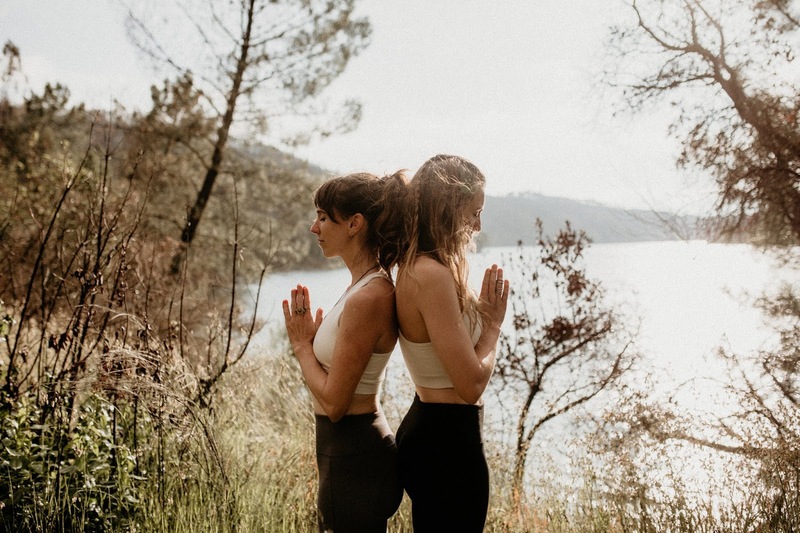 Having practiced yoga for over 20 years and working as a teacher for ten, Fiona’s breath led practices incorporate vinyasa, asana and nidra yoga, creating a transformative trifecta. 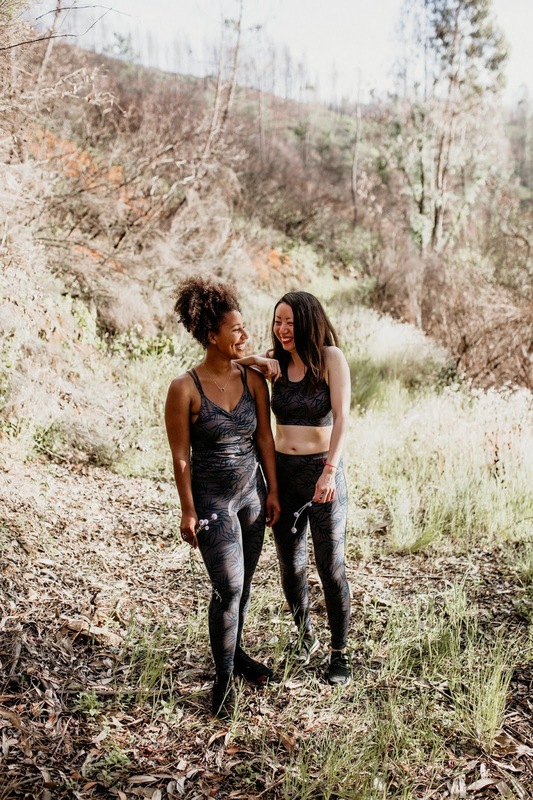 Wrapped in her warm guidance, we were taught to focus on alignment and release while honouring our limits; allowing us to abandon the ‘push it’ yoga many city-bound studios bolster, and gifting us with tools which would guide us to our goals with conscious care. Fiona is deeply rooted, sharing a sense of solidity and strength. Characteristics which have likely helped guide her through the heartbreaking harms she and her family have faced through the fires. 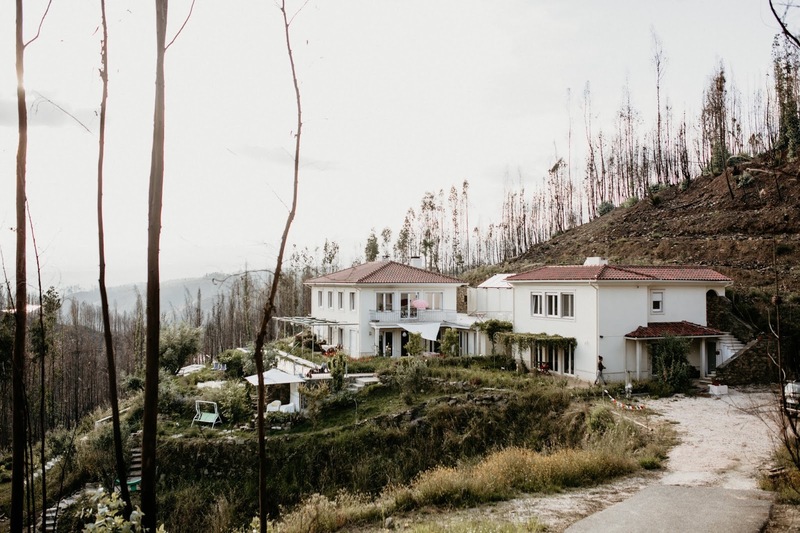 Which only months ago reduced her family's home, and the off-the-grid retreat Fiona and her partner had spent the previous ten years building, to ashes. 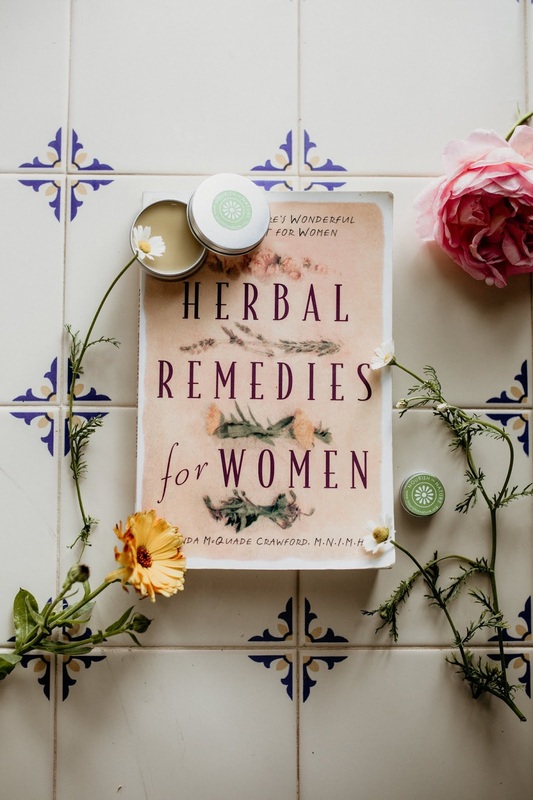 With her warm glow, bright smile and equable effervescence, Sara bestows an honest education in identifying and cultivating herbs and remedies which aid female ailments. She is incredibly well educated, informed, and warm in her approach, integrating her understanding of both holistic and western medicine to offer a scientific and practical view of health which addresses the root cause of each unique affliction. 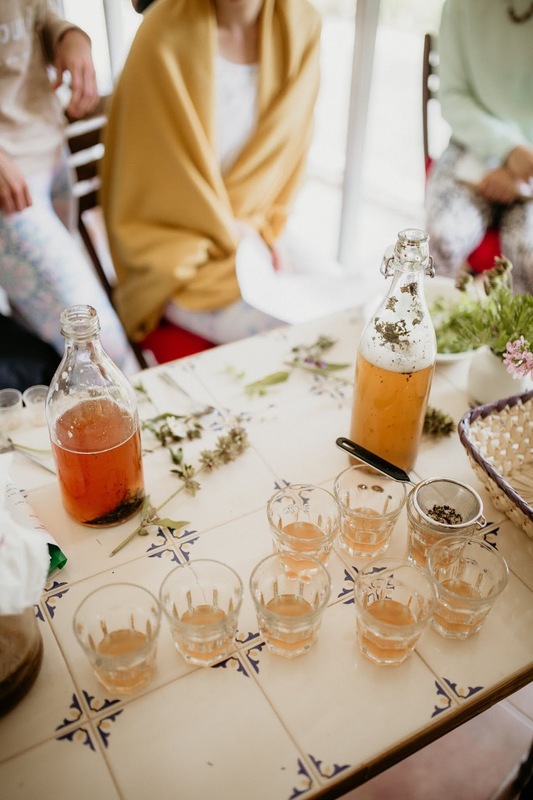 She operates with a sense of alchemy, guiding patients to wholly understand the nutritional and lifestyle changes which will improve their daily life with permanence. 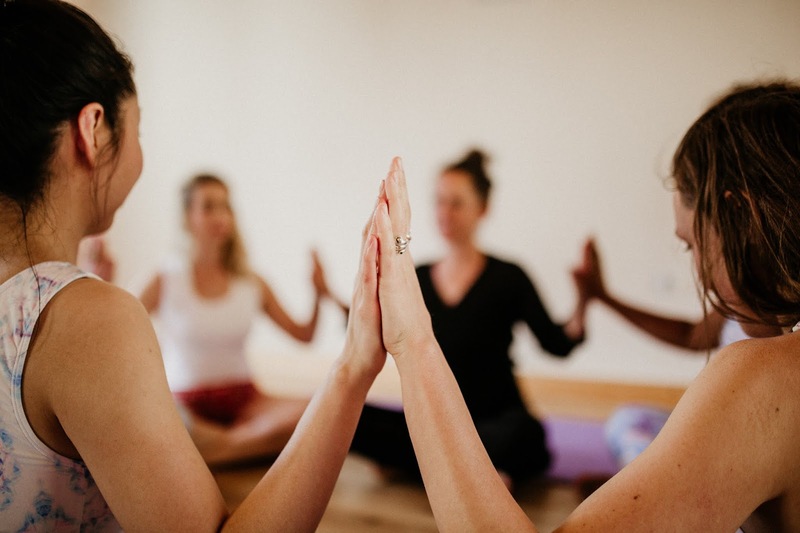 Aiofe works on the body intuitively, absorbing and moving pain with fluidity and flow. 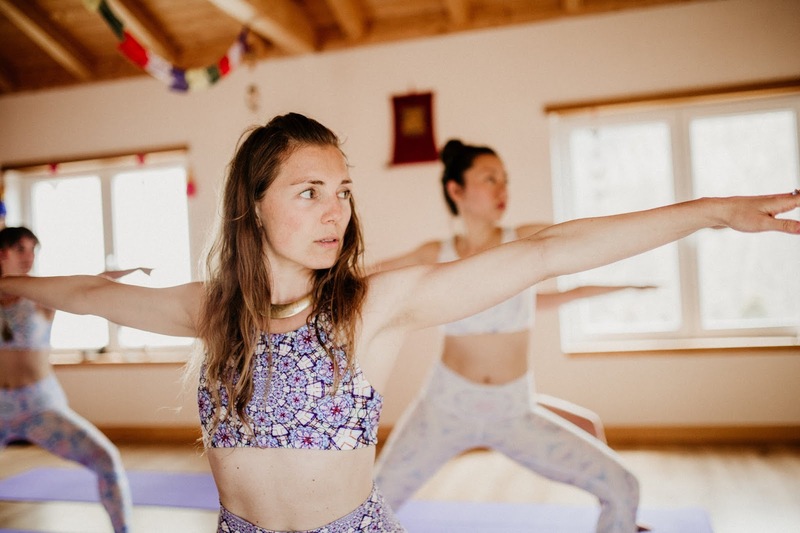 She empowers release with such gentleness and compassion that in a mere two sessions, you feel completely transformed. 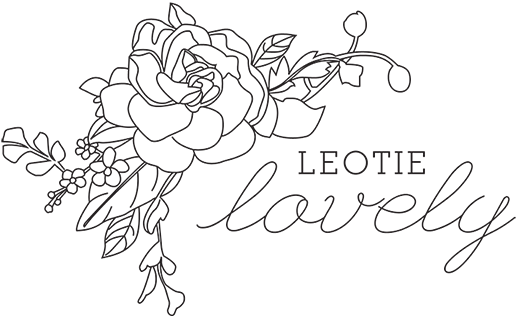 Her education in healing holds an expanse of holistic therapies, with advanced training in various types of massage, as well as certifications in Reiki, reflexology, and aromatherapy. The plethora of skills she was born with and has gathered enables her to identify any tenderness, throbs or torturous pains your body might conceal. 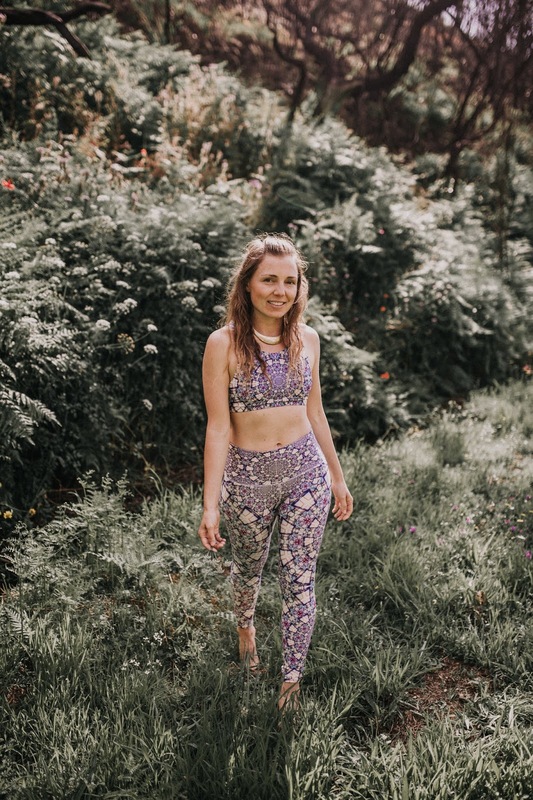 Through her work, she emancipates you from your physical (and by proxy, emotional) tribulations, leaving the body calm, connected and soothed into a peaceful state of being. 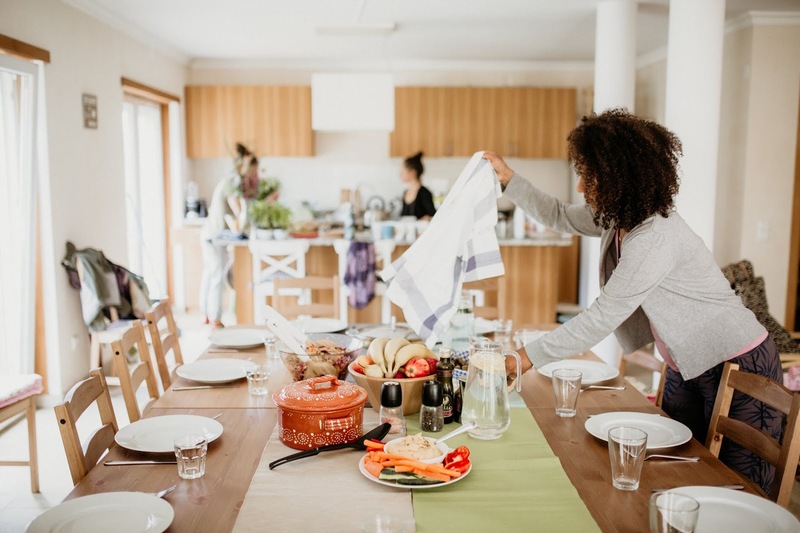 Gabi was the golden thread of nourishment that connected us all, drawing us to the large wooden table in the fire lit living room to be nourished through her incredible meals. 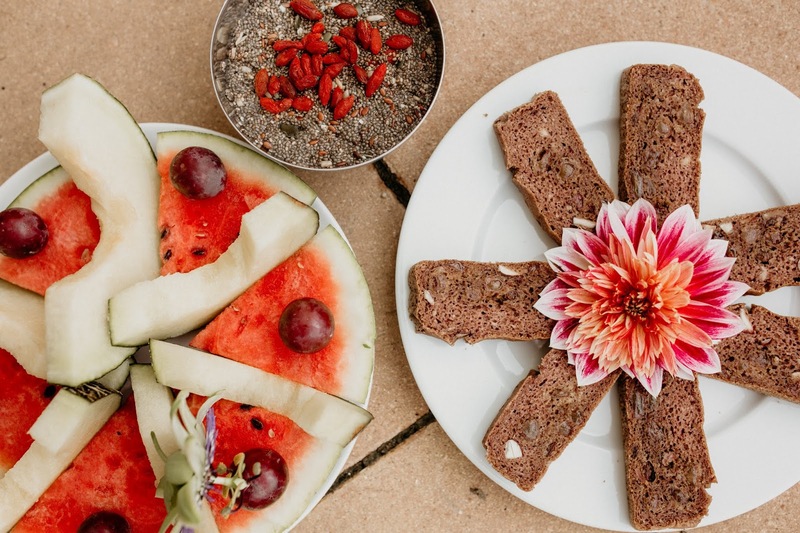 The menu was built around the seasonal organically grown foods harvested from the gardens of the retreat team, with plant-based recipes inspired by Gabi’s worldly travels, which simultaneously support female health and wellbeing. 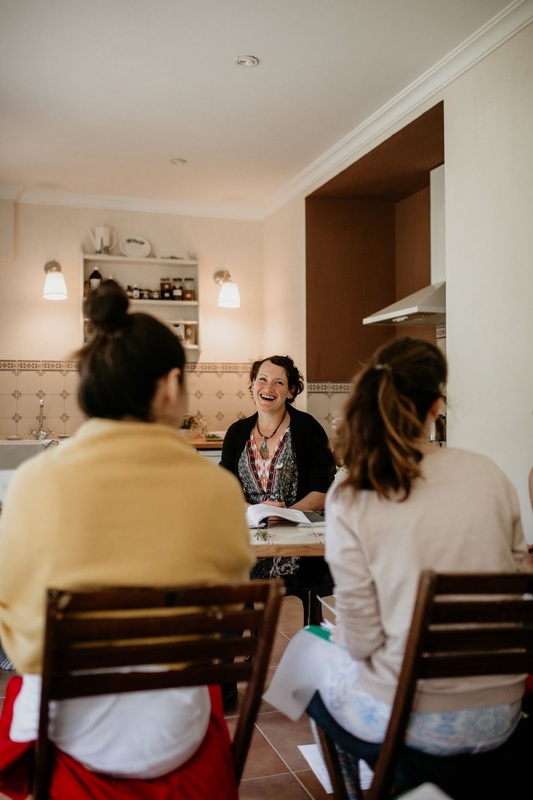 Mabel, the owner and creator of the physical space the retreat takes place in, embodies how dynamic, transforming and creatively clever women can be. 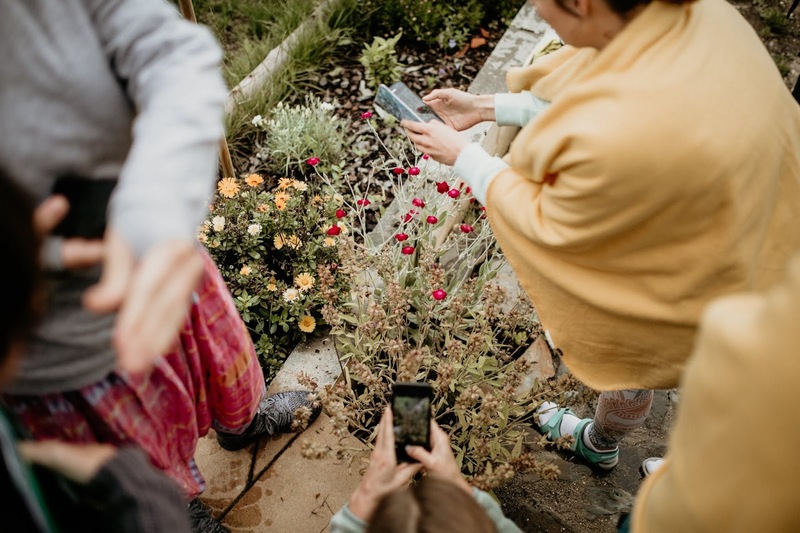 With the help of her epically educated daughters, she has created a completely self-sufficient off-the-grid oasis, which works with such creative ingenuity, it would require an entire blog post on the subject to fully explain. Working in symbiosis with itself, Quinta Carnival serves as proof - for me at least - that every single creature comfort of our modern home life can be met with multi-purpose, sustainable, zero impact solutions which are already available and on point. As we arrived, winding down the bumpy roads into the belly of the valley, I felt a familiar pull. Transformation has a pattern, like the Celtic labyrinths of our long-forgotten past, we first need to crawl towards our center, stripping ourselves of our worldly weights as well go, until all that’s left is our core. For me, Nourish in Nature gave my soul the silence it needed. I happily gave up on keeping up with work within 24 hours of arriving, finding myself tired, withdrawn, and wholly uninterested in talk of the outside world. Quinta Carnival, where the retreat was held, was heartbreakingly peaceful, harbouring winks of Canadian landscape in each and every vista. On most days, you could stand halfway up the hill between the main retreat house and the creekside cabin I stayed in and be serenaded into a state of serenity by an orchestra made up of gentle birdsong, pollinating bees, rolling waters, and the whisper of the wind through the wildflowers. Each day I would lie in the charcoaled forest, hidden from sight, watching the shadows of wind turbines in the distance as they turned like angels of time through the week-long experience. At night, the toads and frogs raised their voices from the natural pool, pond, and streams on the property, chanting in what sounded like a series of barnyard barks as if they had an urgent message for you. Nourish in Nature was built around each of the elements, and through I put no effort into aligning my actions or thoughts to the theme of the day, naturally, I went through the motions. After a particularly emotional fascia massage, the first of my lifetime, I climbed up the steep mossy hills from the valley to reach the track down to the freshwater lake. Following the overgrown path as thistles nicked my ankles, mud oozed into my shoes, and wildflowers kissed my legs. 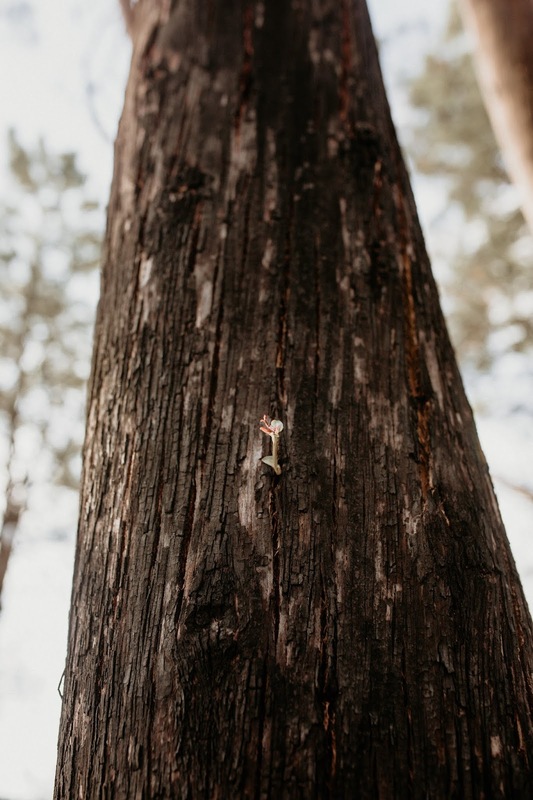 When I reached the reservoir, I climbed down the steep hill to the water’s edge, stripping myself of all I was wearing and wrapping it around one of the trees which burst burnt from its banks. The water was dark, cool and deep, dropping from the shore in continuous flow with the angle I had reached it. As I jumped in, all the frustration, sadness and anger I had built up towards myself and stored within me seemed to wash away, pushing me to dive deeper and deeper until my lungs asked for air. When I came to the surface, I saw a hawk flying above me. A totem, which for centuries has represented the spirit and soul, acting as a reminder to us humans to trust our inner guidance and higher self. I realized at the end of the week, as we sat together in a circle sharing our stories, this was exactly the purpose of the retreat. 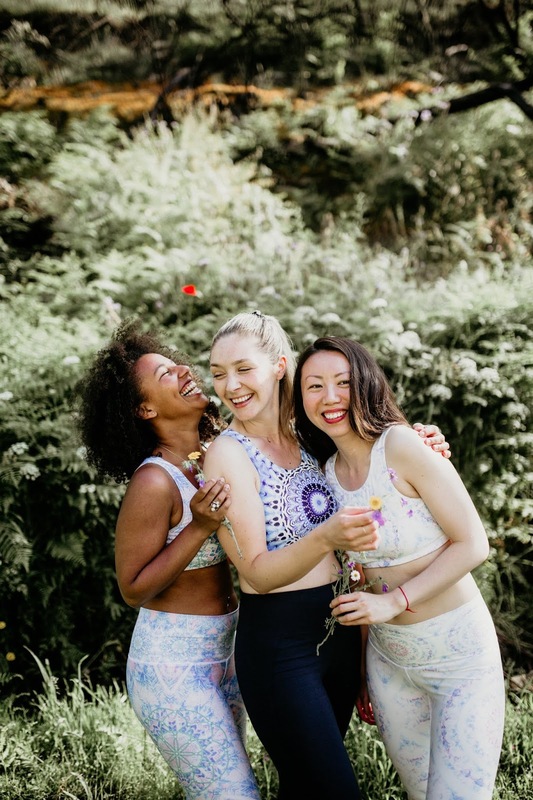 Teaching women the lost art of how to care for, trust, and listen to ourselves and others in a way that is fluid and accepting and judgement free. Nothing of the experience was dogmatic, allowing us to exist where we were and listen with our hearts, minds, ears and eyes open. 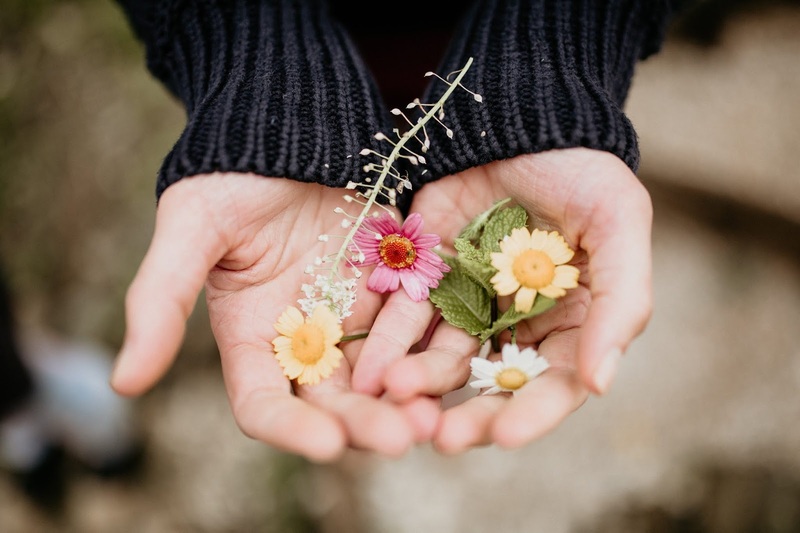 We as women, and as a society, look for a single solution to all our problems; what Nourish in Nature offers is a multitude of tools to identify, honour and aid the myriad of issues we individually face. Giving us the power to create lasting change. On the last day, white butterflies appeared floating up on the rain kissed flora, angelic and quiet amongst the sounds of the bees and birds. I felt lighter than I had in my adult life, left with a sense of harmony, clarity, strength and serenity that I had forgotten existed within me now anchored to my core, and the weights I'd been carrying consciously and subconsciously lifted from my mind, body and soul. 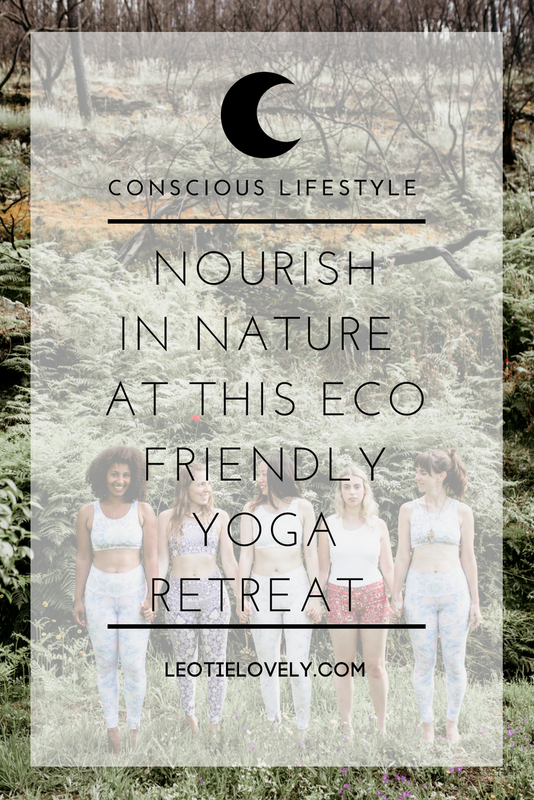 I wholly recommend this retreat to all women. It helps open you into a chapter of self-care that will aid daily life in subtle but substantial ways. Teaching you to see the value of who you are and who you will become, in appreciation of the beauty of the journey we all face.